Mountain Baba, more commonly known as Pelister is the southern most mountain with alpine characteristics. Set between the valleys of Pelagonija and Prespa, it's over 465 million years old and the highest peak in the park is 2,601 meters above sea level. The Molika pine is the best known feature of National Park Pelister. This species was discovered by the Austrian botanist August Grisebach in 1839. Although the Molika is also found in other mountains of the Balkans, one of the oldest and most compact forest communities can be found on Pelister. 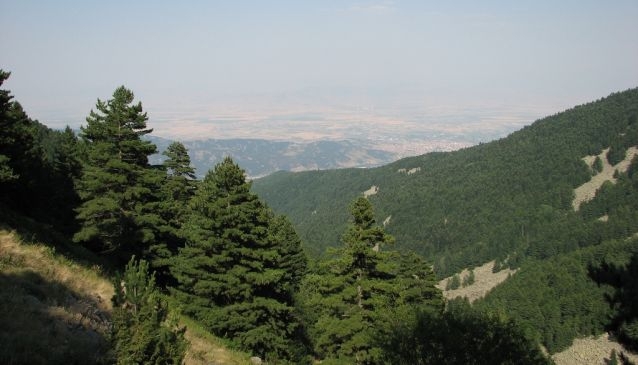 By walking on Pelister it is possible to find trees over 230 years old. In the spring and summer, the meadows are colored with many flowers, bathing in the heavenly sun. To view the daily butterflies Scythris crupta nad Scythris similis, which only live in Pelister, is magical. You can also view the night butterfly Hadena clara macedonica that is found only in Macedonia. If you are archaeology lover, find some time to visit settlements form the Iron Age the medieval period that are near the park. Following the ancient path Via Egnatia which passes through the Park you will have a unique opportunity to walk the same road that the Apostle Paul, the Macedonian Phalanx, the Roman Legions and the Byzantine Tsars traveled.